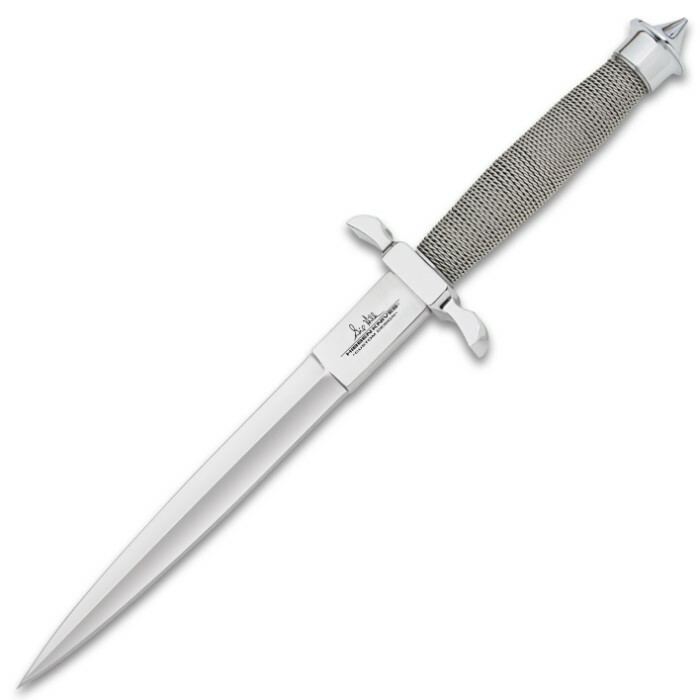 Gil Hibben Silver Shadow Dagger Knife | BUDK.com - Knives & Swords At The Lowest Prices! Renowned knife designer Gil Hibben custom crafted this knife especially for United Cutlery in 1990 as the first in his annual "Fantasy Series" offerings. 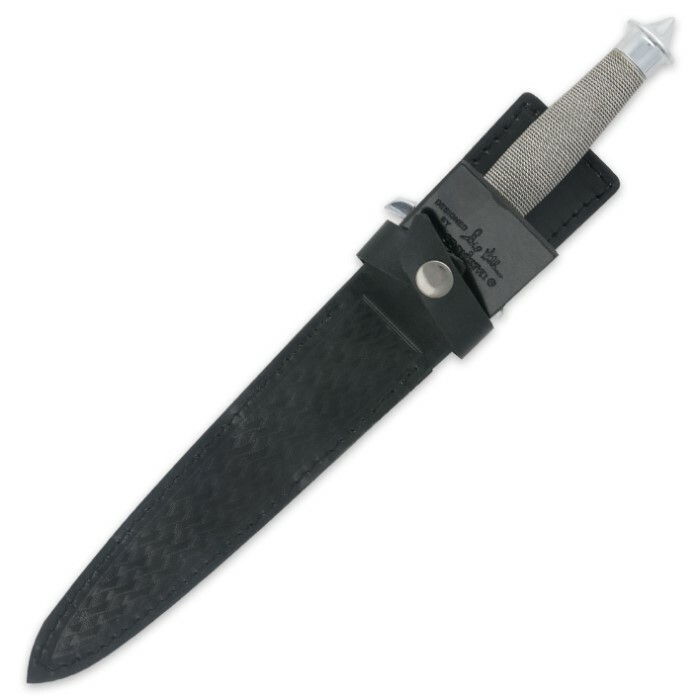 It features a razor sharp, double edged 7 1/4" mirror polished 420 stainless steel blade. Hibben's signature stamp is etched on the spear point blade, housed in an included custom genuine leather sheath. The handle is delicately wrapped in silvery stainless steel wire. 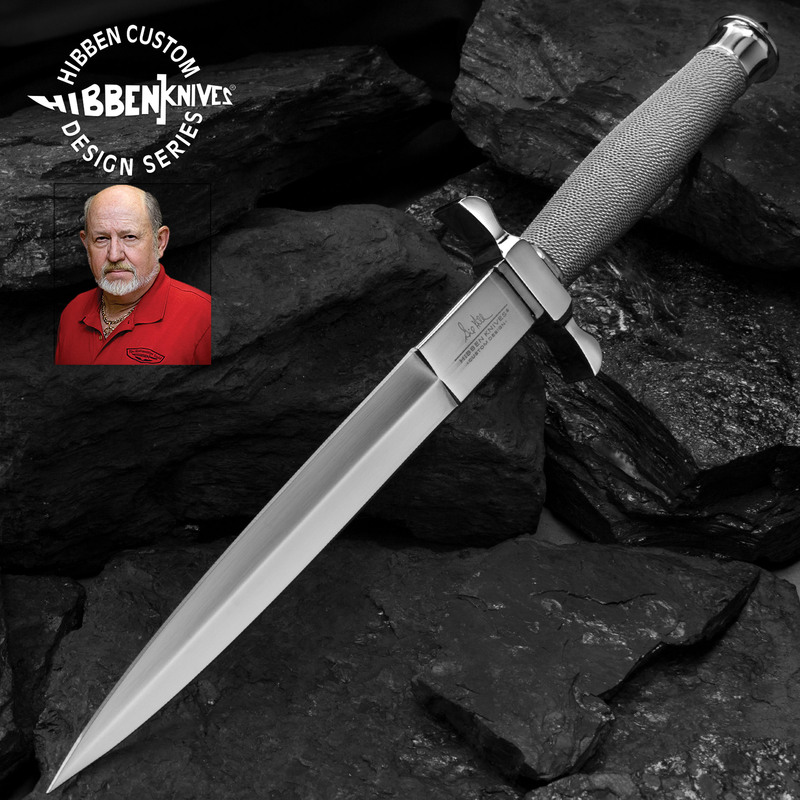 An gleaming, mirror polished stainless steel oversized guard and pommel completes the iconic Hibben "fantasy." Measures 12 1/4" overall.